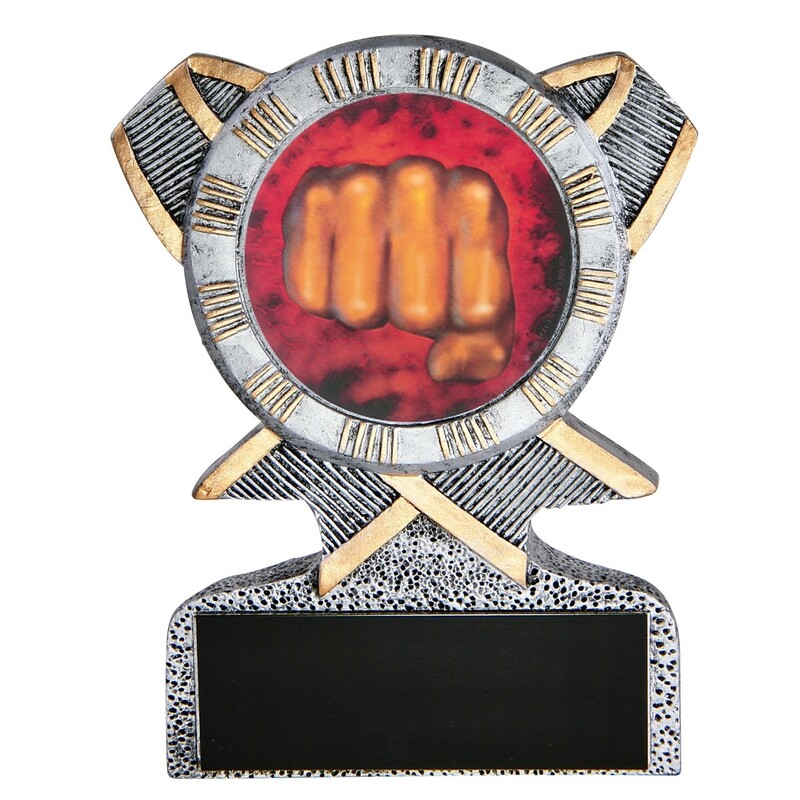 Recognize any martial arts achievements with our Martial Arts Resin Trophies! These 5 inch standing resin trophies feature a holographic sparring fist and engraving on a black brass plate with gold lettering. The awards have the look of pewter with brushed gold and the feel of a statue.